For a gift that says "I love you" there's truly nothing better than a rose. Rose is always a gift of love, and our crystal red rose will never wilt, never tarnish or get dull. 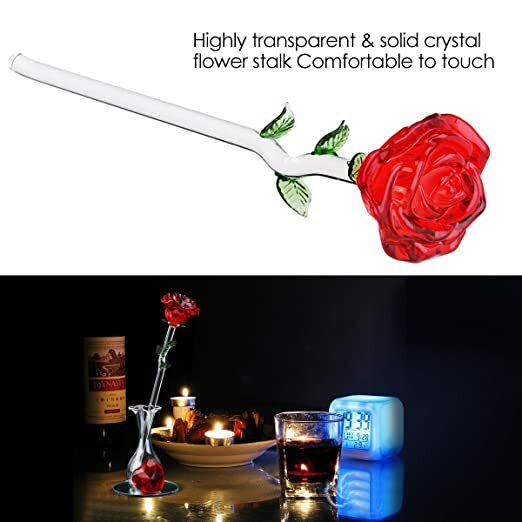 With this high-quality crystal red rose, you'll have the perfect gift to show your love. With the exquisite appearance and high-quality k5 crystal glass, this rose will make a memorable gift. 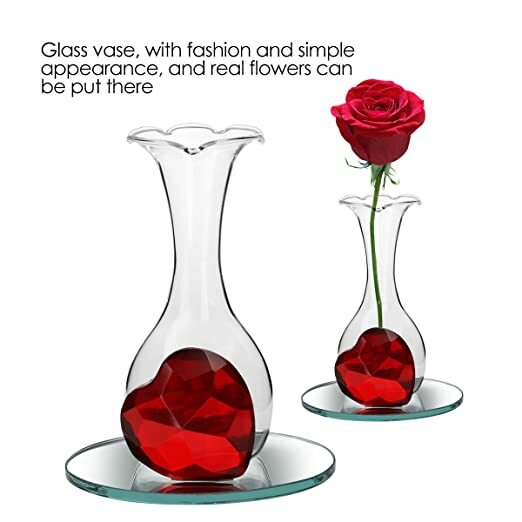 The elegant gift box and the graceful single-flower glass vase that comes with it both serve to enhance the beauty quality of this flower rose itself. great gift for mother, wife, girlfriend, or just someone special for you. Order now for the best mom ever and let your mother know how much you love her! NICE LOOKING CRYSTAL RED ROSE. 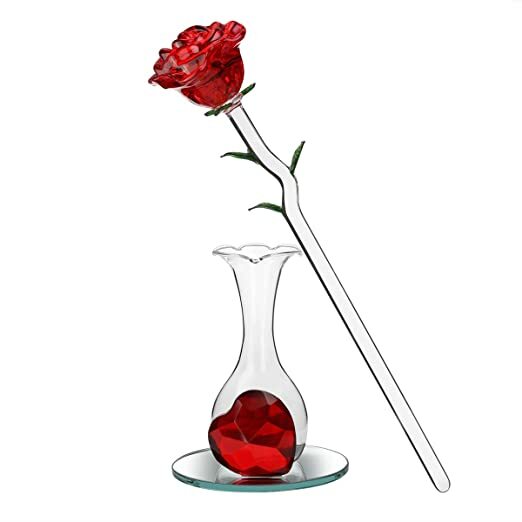 Red blossom, green leaves and a clear stem with red crystal hearts on a mirrored base, all make this express fully forever love for her. GREAT QUALITY WITH NEVER FADE FLOWERS. 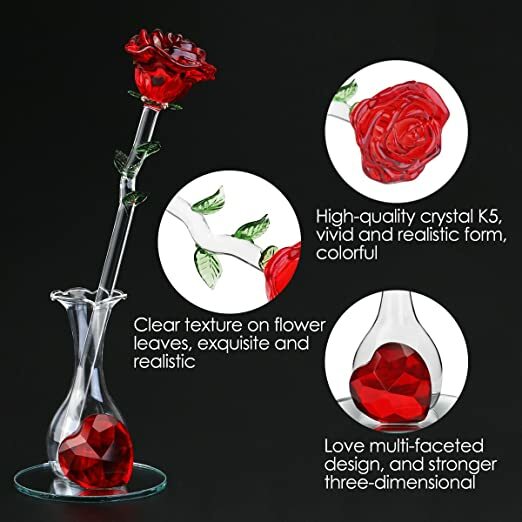 Rose and hearts are made from k5 crystal glass, will never fade and die like a real rose, the impression will remain forever, just like your love for your mom will never fade. PERFECT AND LOVING PRESENT FOR VOLENTINE’S DAY, her birthday, or other occasions. This would also make a great valentine's day gift, an anniversary gift, a birthday gift for the one who means most to you! COMES IN AN ELEGANT AND WELL-PADDED GIFT BOX. Makes your gift Looks like more high-end with our perfect gift box, and the careful padding ensures this rose arrived without damaging. NO-RISK PURCHASE: ONE-YEAR MONEY-BACK GUARANTEE. If you're unsatisfied with this item for any reason, we'll immediately refund your purchase price.